Pastor Michael Ramo is taking a lead in campaigning among men to end violence against women. Credit: Catherine Wilson/IPS. HONIARA, Solomon Islands, Oct 20 2013 (IPS) - In the Solomon Islands in the south-west Pacific, where two in three of the estimated female population of 252,000 have experienced physical and sexual partner abuse, recognition is growing that ending the cycle of violence cannot be achieved without the partnership of men as catalysts of change. And initiatives by men are gaining support. This year Ramo participated in the Men Against Violence Against Women (MAVAW) programme organised by development NGO, Live and Learn, in Honiara. The 18-month project, with donor support, engaged close to 50 men from 27 informal settlements, home to about 35 percent of the city’s population of 64,600, to become champions of social change. “Violence is a huge issue and this is only the beginning of a long, long journey." Men, he said, readily acknowledged that violence against women is a serious issue, but “giving them space where they could express themselves freely” during the project encouraged constructive dialogue. The MAVAW programme was designed by men and women from the communities involved, who contributed their understanding of the key factors which led to violence. Live and Learn then worked with participants on the four main issues identified, which were managing finances, understanding family values and responsibilities, tackling violence generally in communities, and empowering individuals with intervention and counselling skills. Numerous studies, including this year’s United Nations report on why so many men use violence against women in Asia and the Pacific, indicate a strong connection with gender inequalities and prevalent stereotyped ideas of masculinity. The report revealed that 81-98 percent of the 10,000 men and 3,000 women surveyed agreed with the principle of gender equality, but not necessarily when it came to specific roles and responsibilities. More than 70 percent believed that ‘a woman should obey her husband’. Pionie Boso, policy officer for the programme End Violence Against Women (EVAW) at the ministry of women, youth and children affairs says that the equality gap between gender roles in the Solomon Islands has been entrenched over generations. The result is persistent perceptions of females as possessing a lower social status than males, with predominant women roles confined to the domestic sphere with low participation in public decision-making. 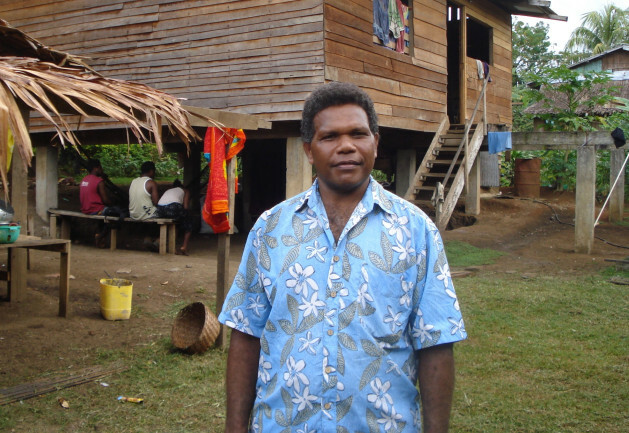 The 2008 Solomon Islands family health and safety study revealed that additional factors in family violence included the practice of bride price and punishment of women for disobeying spouses. According to Baiabe the comprehensive definition of violence which encompasses emotional abuse, controlling behaviour and economic deprivation is yet to be widely understood in communities. Men’s experiences, according to the region-wide UN report, included high levels of employment related stress and depression. Before the MAVAW initiative, Ramo had not felt sufficiently equipped to help people suffering from high levels of tension. But he said the programme “gave me a lot of skills to handle very stressed or even traumatised men and this gives me strength in my dealings with people and the community. “I wish that other friends could have joined in because, at my level, there are only a few people who know how to deal with these kinds of situations and have the counselling skills,” he said. Ramo said that men can share the burden of stopping and preventing violence against women by intervening in incidents, promoting non-violent male identities and influencing peers to rethink the way they manage relationships with women. Given the continuity of domestic violence down generations, the government has overseen the mainstreaming of gender in secondary school curriculums. In Honiara, the Family Support Centre which provides support services to women and children who suffer violence, conducts gender sensitising workshops focussed at youths from 13 years. These address questions of what gender is, why gender violence is a crime and a social injustice, and how men carry a responsibility to help solve problems within families. Baiabe added that breaking the cycle also entailed reinforcing the responsibilities of raising children and nurturing caring values within the family. Following MAVAW’s conclusion, and with a view to sustainability, community support groups with resources were set up and registered in ten urban settlements. However Ramo and Baiabe acknowledge that men across the country need to be engaged to support wider social change as a long-term goal. Thanks to the NGO and its donors, and the people on the ground doing this work – essential but not easy. Hopeful to read about, though. The article gives good detail on the process and context, nice writing. Women in -all cultures have to stand up to these bullies and let them know -violence will not be tolerated -it must start in the home.-respect.